What types of blocks are there? 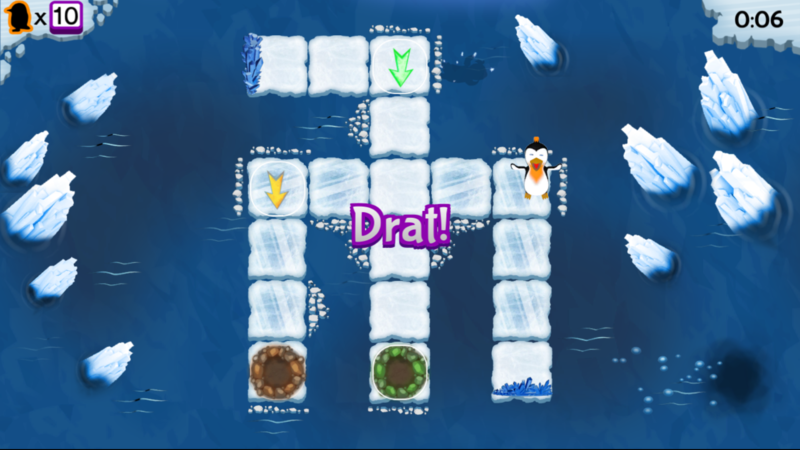 Other than the normal fast and slow blocks that change the resistance on Ringo and Zayle, there are Thin Ice blocks that break when the penguins stay on them for too long, Teleport Blocks that move the penguins to different locations and Moving blocks that move ice flows and obstacles so the penguins have a clear path to the nest. What does the Polar Bear do? If the polar bear is awake when a penguin tries to move past him, he will roar sending the penguin back a bit or scurrying forward. What does the Orca do? If Ringo or Zayle gets hit by an Orca while they are leaping they will be knocked into the water. How fast do my lives replenish? Every 15 minutes you get a penguin back, with a max of 12 lives. How do I win a treasure chest? 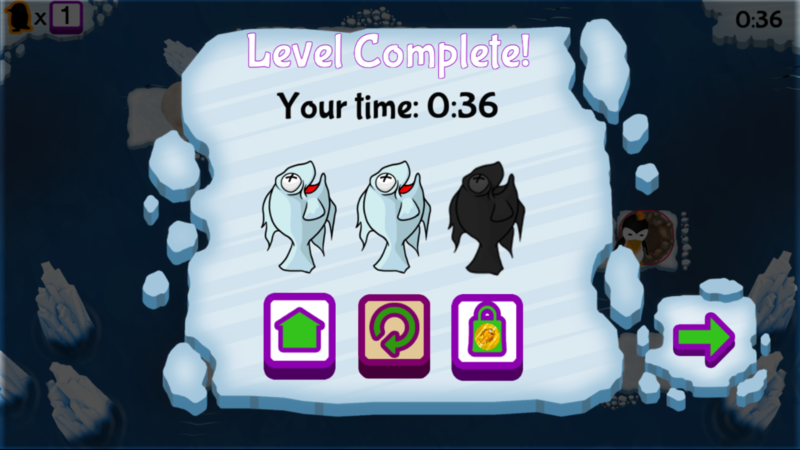 Getting 3 gold fish on a level wins a treasure chest. 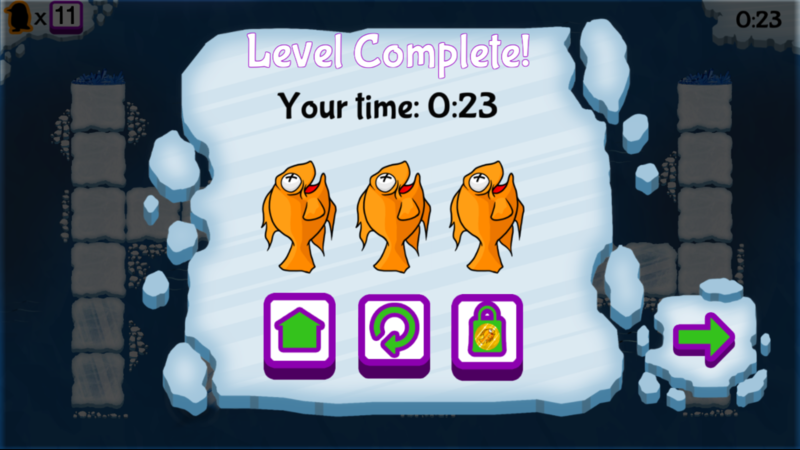 Although you can replay levels for a faster time, you only win a treasure chest the first time you get three gold fish. You can win any of the boosters and gold coins! 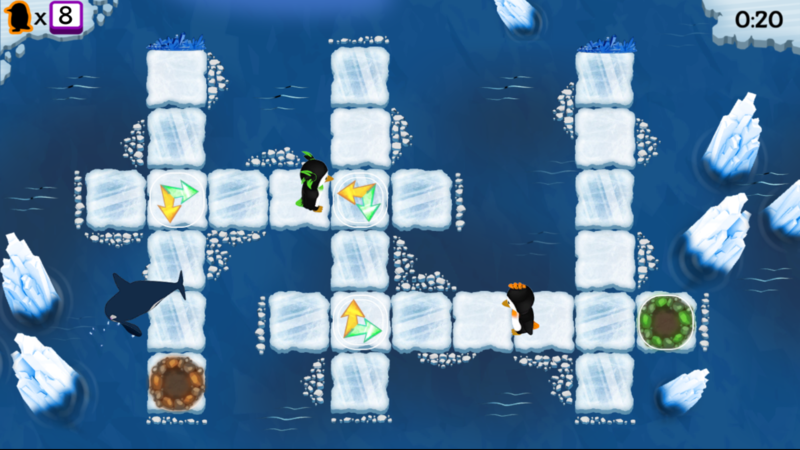 Freeze Ray – Turns the fragile breakable ice blocks into solid ice. 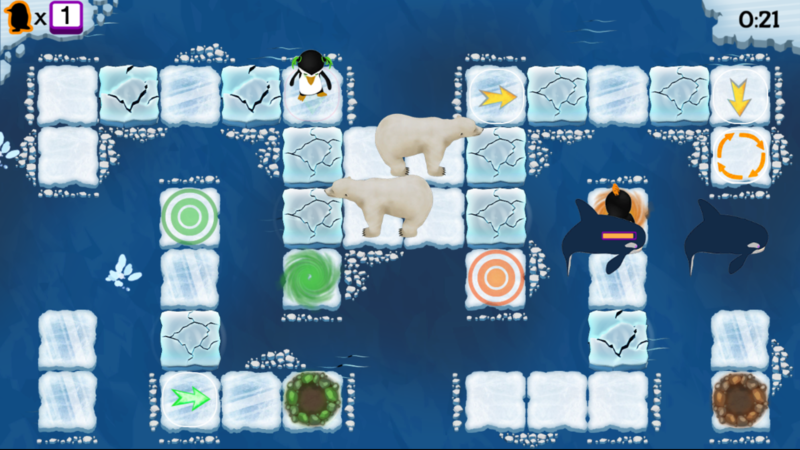 Music Box – Puts all the polar bears in the level to sleep. Sea Land Employee – Prevents the orca from leaping over the ice. Grippy Boots – Improves the penguins’ traction for better maneuverability on the ice. Free Time – Allows you to play without losing any lives. Live Vest – Prevents the loss of a single life. How long do boosters last? 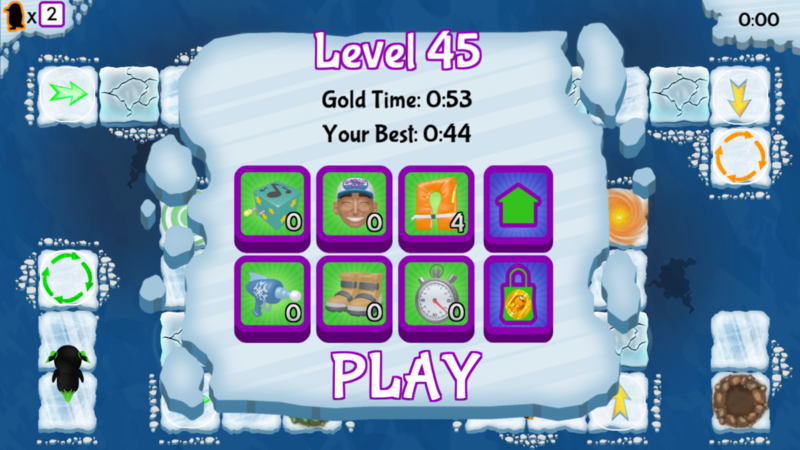 The Grippy Boots, Freeze Ray, Music Box and Sea Land Employee will be in use for the duration of the level you are on. If you fall into the water and loose a life you will retain the use of the booster as long as you stay on the level. Exiting to the world map will end the use of the booster. Free Time gives you unlimited lives for the duration of the booster. 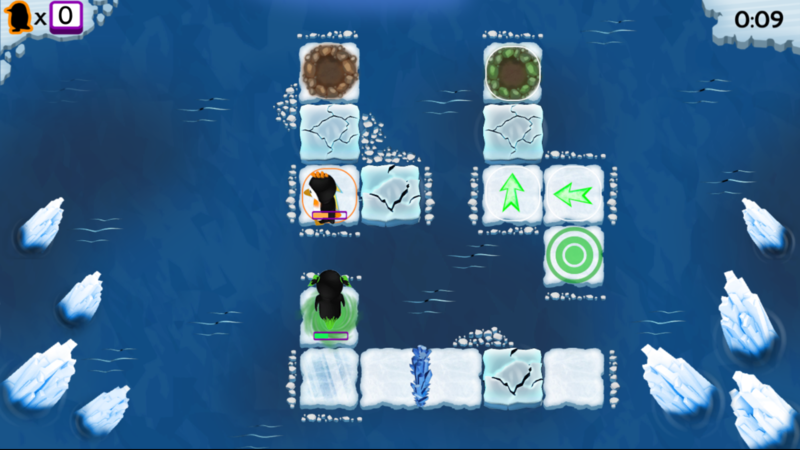 Free time only counts down while you are playing a level. Visiting the store, world map or even closing the game will not count towards your free time.